Stage II Recovery is the answer. Earnie Larsen, a dynamic speaker and a pioneer thinker in the field of chemical dependency, says that sustained abstinence from an addiction is only the first stage of recovery. 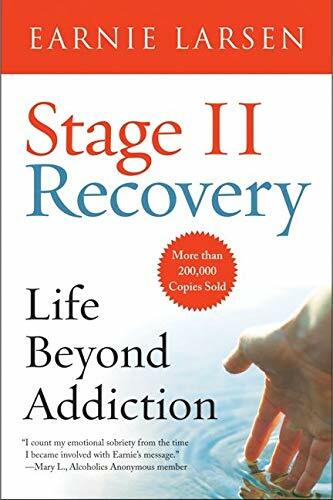 Real recovery begins with what he calls Stage II -- the rebuilding of the life that was saved in Stage I.<br />This inspiring, practical guide offers breakthrough information on how to see and change learned self-defeating behavior and make relationships work -- which is at the core of full recovery. Earnie Larsen has been intimately invloved with people in Twelve Step programs for twenty years. He has degrees in counceling, education, and theology, and he lectures, counsels, and conducts workshops and seminars nationally on improving interpersonal relationships. He is the author of thirty books.